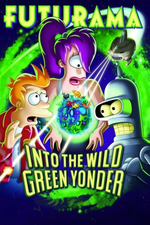 I found myself wanting to catch up with any Futurama things I haven't seen since the end of the latest season, and turns out I've only watched the first movie. I've been watching the rest of them so this is the last one! That was alright. I think Bender's Big Score was the best of the bunch in terms of story. * Only relative to other episodes/movies don't beat me with a chair!